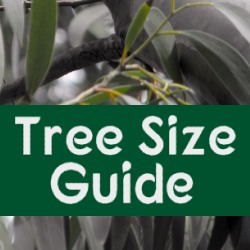 This section contains information about the sizes of trees we supply and some general advice on the growth rate and mature tree sizes. 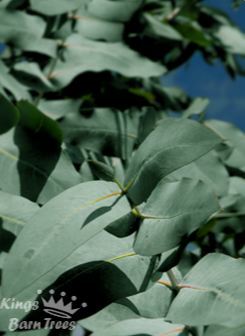 For help and advice on choosing a species of Eucalyptus click here to visit our How To Choose? page. Our trees are categorised by container size and by height.The stated heights we use are measured from the base of the tree trunk to the top of the tree (height of the pot not included). Our container grown trees are grown in special Air-Pots. These pots have holes all around which promotes a fibrous root system that prevents the tree roots from spiralling within the pot and stops the tree becoming pot bound. These pots measure 15cm diameter and 23.5 height. Plants in these pots will measure between 30-80cm tall, they will have a good, fiborous root system and be ready for planting straight out into the ground. These pots measure 25cm diamenter and 25cm height. 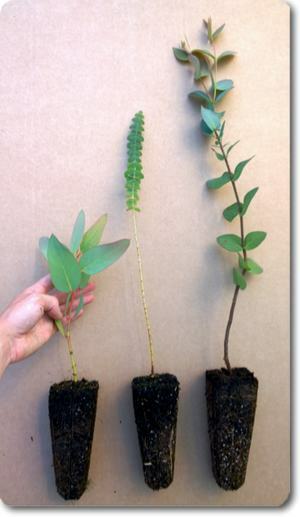 Our tree sizes go from 90 - 210cm (3 - 7ft) tall in increments of 30cm (1ft). Above is a photo demonstrating the different sizes. We do some times have specimens larger than 210cm (7ft) but are unable to ship using couriers, meaning they are available for collection only. All the trees we sell are grown on site from seed. This means that we will only have larger sizes of trees once they have grown that big! Our smallest size is called 'Planting Stock', this refers to cell grown specimens. They are grown from seed in these cells which measure 6.5 x 7.5 x 16.5cm (2.5 x 3 x 6.5 inches). We start shipping these as soon as the root ball is strong enough to be handled. At this stage the different species grow at different rates, this means that species of the same age will differ in height. 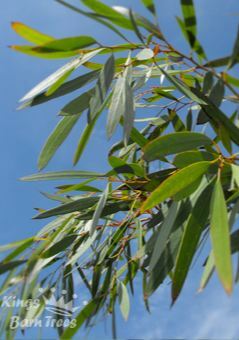 Meaning when you order a Planting Stock specimen it could range in height from 20 - 60cm in height depending on the species. 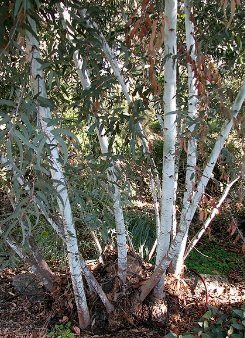 Larger plants of this size can be planted straight out into the ground but it is advantageous to grow them on in pots before planting in their final position. This can depend very much on: the site you wish to plant, your capability to handle a larger tree and your budget. 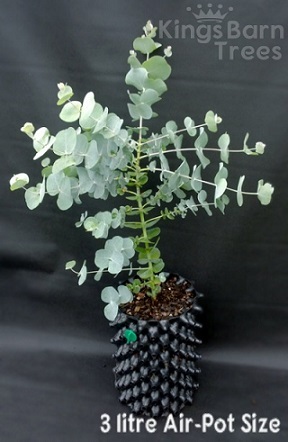 For a more 'instant tree' result you can opt for the larger sizes, in the Air-Pots we use our trees have fibrous roots systems and transfer to the ground very successfully. A note for windy or exposed sites: As a general rule for planting any tree in such sites, the smaller size you can start with the better. 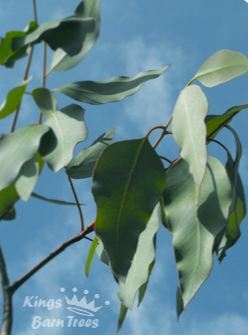 Eucalypts do suffer from windrock and if they cannot put down a solid root system their fast growing habits can lead them to fall when they get bigger. 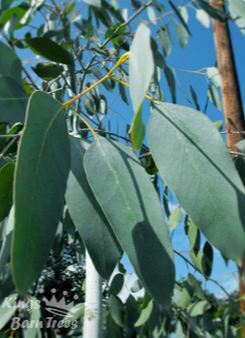 Have no doubts, Eucalypts are fast-growing and big. Where to plant one should be a carefully considered decision. Generally you should avoid planting close to any buildings or walls as they have vigorous and thirsty roots which can damage foundations. A minimum distance of 4-5m should be considered, if not more. 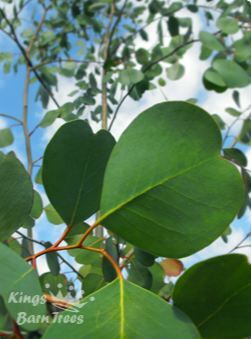 Some species of these trees have been known to grow 2m in one year. Even those considered the slowest-growing can still make 0.5m in a year. This makes them great plants for fast results and 'Instant Trees', but you will also need to consider the mature heights. 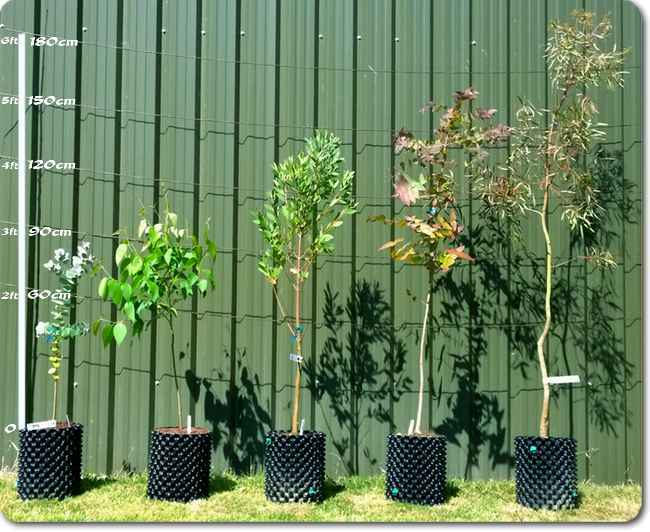 The heights of our trees range from 4 - 90m, so you should be able to find one to suit your needs. Annual pruning would be needed if you wanted to keep a tree below its natural mature height. The mature heights we state are those achieved by the trees in their natural habitats, so the taller trees would be unlikely to reach the full height in our temperate climate.